Welcome to a friendly, stylish, good value hotel in Bournemouth which is renowned for its warm service and excellent food in spectacular surroundings – perfect for holidays in Bournemouth. Quietly situated as the westernmost of the 3 star Bournemouth hotels, of all hotels in Bournemouth the Riviera has spectacular wide views of Bournemouth Bay and is just a minute’s walk from the beautiful wooded Alum Chine leading to its delightful Blue Flag sandy beach. Our Leisure Club is free to our guests and has superb indoor swimming pool, spa bath and studio gym. During school holidays children’s games with pool table and football table are in the bar area. 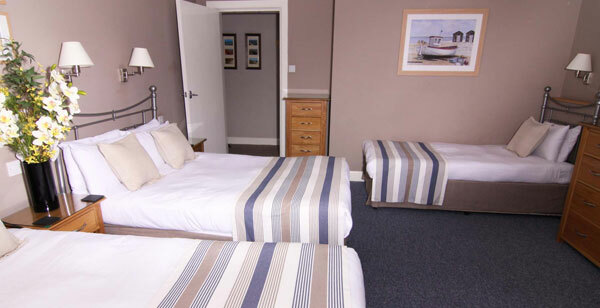 All 67 en suite bedrooms have wide screen digital tvs, complimentary tea and coffee trays, 24 hour room service and many have private balconies with lovely sea views overlooking the wooded Alum Chine and Bay to the Isle of Wight. We have some rooms available in our lodge situated in the garden each with private seating area. 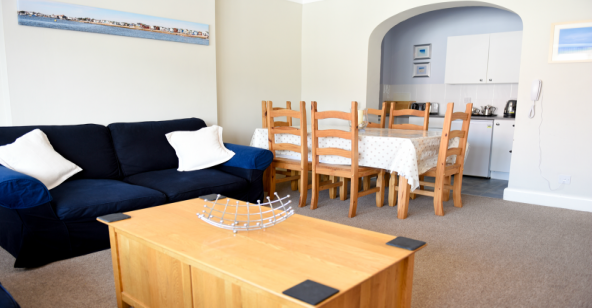 Uncommon for accommodation in Bournemouth, 12 private self catering apartments are also available. All this makes the Riviera the perfect place to stay, whether you are looking for a romantic break, relaxing break, Spa break with friends – or just a home from home to explore Bournemouth and Dorset! The Riviera Holiday Apartments in Bournemouth by the seaside overlook either the woods of Alum Chine or the hotel’s Outdoor Pool and offer residents use of all the hotel facilities including bar and restaurants, free indoor and outdoor Leisure Facilities , SPA and free Wi-Fi. The Riviera holiday apartments sleep from 2 to 7 people, all the apartments have a lounge, kitchen and a bathroom. They are simply furnished with a large flat screen TV , direct dial telephone and fully equipped kitchen. 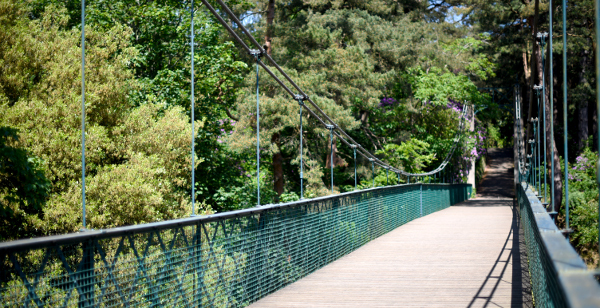 Alum Chine is at the very west of Bournemouth and is famous for its Blue Flag Award-winning sandy beach, beautiful wooded Chine spanned by a splendid Suspension Bridge and the Green Flag award-winning Alum Chine Tropical Gardens. 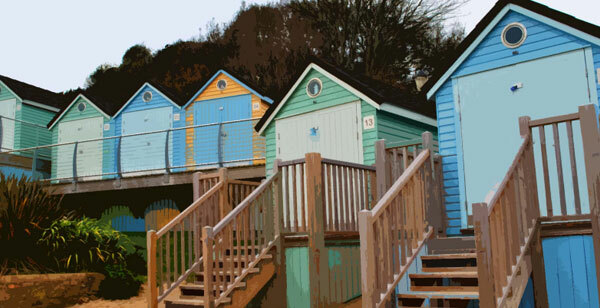 It is close to the chic shopping and eateries of Westbourne and is a mere 20 minute stroll along the prom to Bournemouth Pier and town centre in one direction – or to the famous Sandbanks and Poole Harbour in the other. Whether you are a group of friends, a club or society, a tour operator, corporate function or a family reunion – The Riviera Hotel Bournemouth offers an excellent base for group holidays in Bournemouth. Situated in the beautiful area of Alum Chine, close to both Bournemouth and Poole, it is in an ideal location to explore the Dorset area.